On this centenary of what was claimed to be the war to end all wars, it is especially sobering to look at the world today, still riven by the same imperial forces that brought about the carnage of a hundred years ago. In the imperial settlements that followed that destruction, the Kurds were made a promise of their own state – only the promise was broken. The current battles in the Middle East are so intense that some Kurdish commentators have described what is happening now as a third world war. But this is a war that increasingly slips out of Western minds, and we have our work cut out to keep people informed as to what is happening. 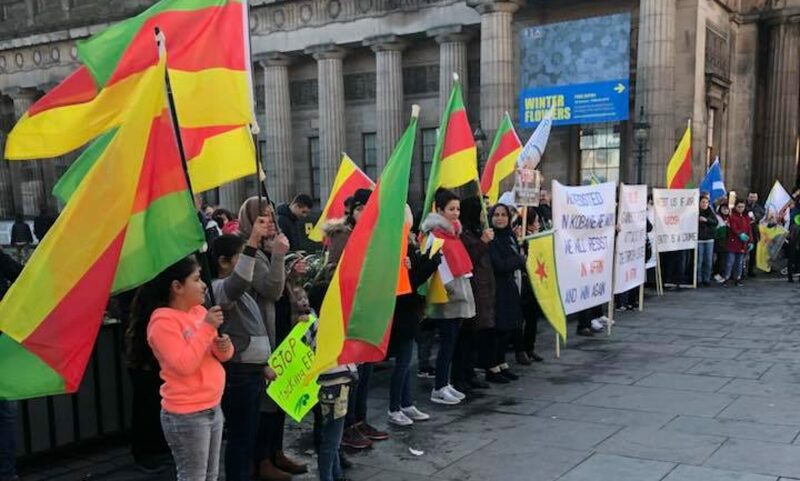 This busy month began with Kobanê Day, when we not only commemorated the defeat of the Daesh siege in 2014 (with a bit of dancing), but highlighted the current threat from Turkey. 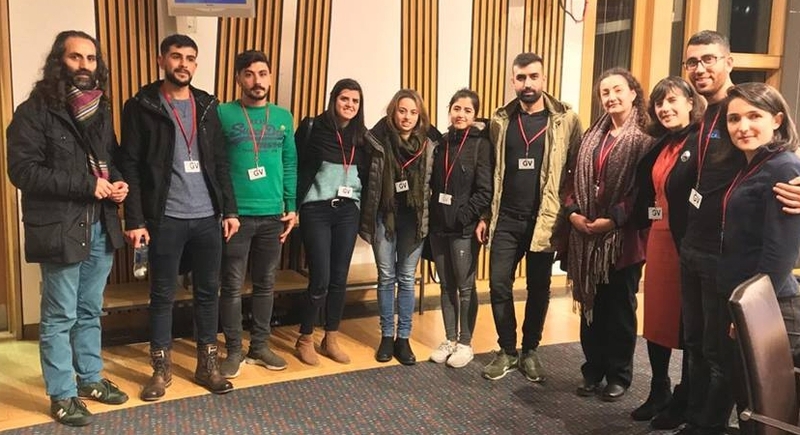 There was a discussion at our main event in Glasgow, and an emergency lunchtime protest in Dundee; and, the following day, the Edinburgh Kurdish community organised a protest outside the Scottish Parliament. 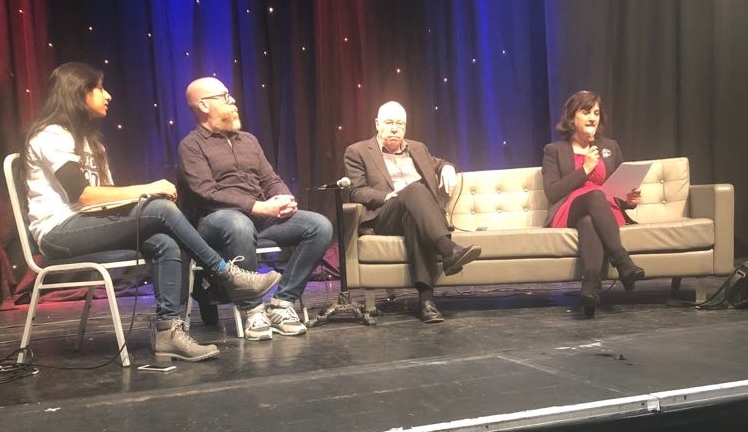 On Sunday 4 November, SSK’s Sarah Glynn took part in a discussion on Liberation Movements and Solidarity Campaigns at the Edinburgh Radical Book Fair, alongside George Kerevan who focused on Catalonia and Jim Slavin who looked at Ireland. 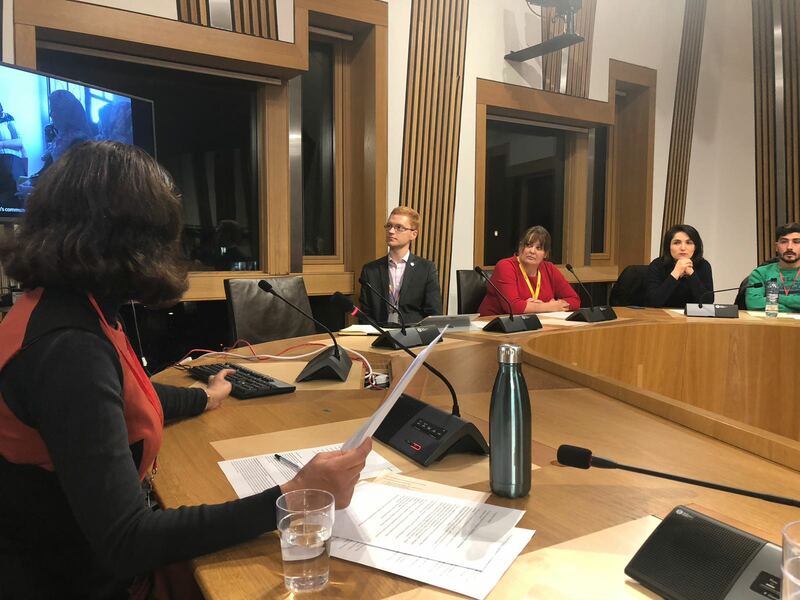 And on Wednesday 7 November Sarah gave the main talk at the AGM of the Scottish Parliament Cross Party Group on Kurdistan, describing what she had learnt on her visit to Northern Syria in May. There were a lot of people there from the Kurdish community, and the talk was followed by a discussion of how to restrict Turkey’s aggression. The Scottish Parliament has no say over foreign policy, but the MSP group chairs were left with a long to-do list.